Paradigm has been around since 1982, and since then the Canadian company has become one of the top hi-fi manufacturers in the world, in terms of both volume of sales and quality of product. Their nearly 250,000-square-foot facility, outside Toronto, is the most impressive audio factory I’ve seen. 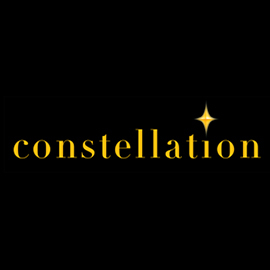 They design and build just about everything in-house, test prototypes in their own 33,000-cubic-foot anechoic chamber, and ship to over 55 countries. Paradigm’s success is a result of many factors, but perhaps most significant is their process of evolutionary rather than revolutionary design, whose success is borne out in high sales and good sound. Despite this, I was never taken with Paradigm’s offerings. There was nothing distasteful about them; I just found their appearance somewhat pedestrian and lacking in personality. When it came time to design a replacement for its aging Studio series, Paradigm decided to chuck its usual practice of making only small changes between revisions. 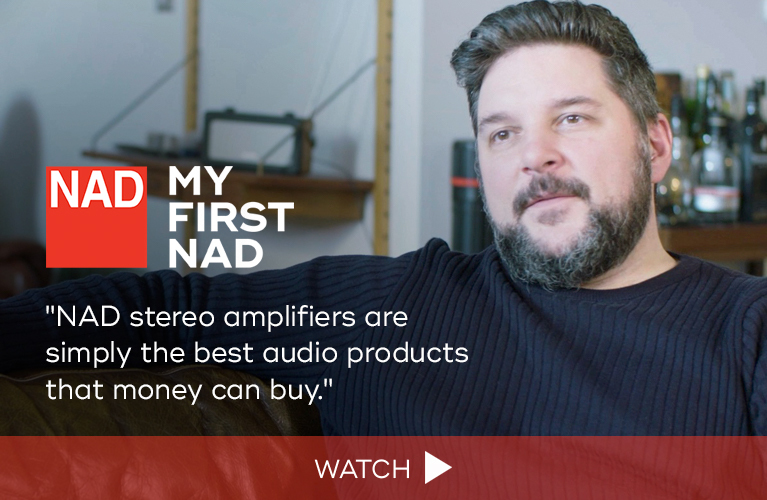 Rather, they engaged directly with end-users and dealers to better understand what customers wanted to see and hear in a new range of products. The outcome was pretty clear: They wanted something completely new. Enter the 95F, the flagship of Paradigm’s newest subline of loudspeakers, the Prestige Series, which is part of the Reference Collection. With an entirely new acoustic platform and a new visual style, the Prestige models bear little resemblance to the Studio models they replace. Whereas the Studios had curved cabinets, the Prestiges revert to traditional rectangular cabinets, a decision Paradigm made after surveying the competitive landscape. A particular point of pride for Paradigm is that the entire line is “Crafted in Canada.” With so many other speaker makers now having their products built overseas, it was important to Paradigm to build something at home. Corollaries of this decision were better quality control and more freedom of design. Paradigm invested heavily in their woodshop and finishing departments so that they could make cabinets with real-wood veneer, and added machines, robots, a spray booth, a clean room, and a massive curing oven. They believe that the quality of their finishes rivals that of the finest furniture manufacturers in North America. 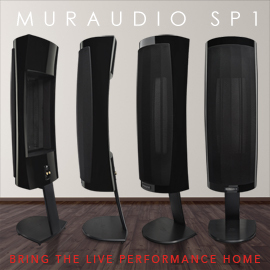 The Reference Prestige 95F ($4998 USD per pair) sits atop a seven-model range comprising two other floorstanders, two center-channels, a bookshelf, and a surround. All models except the 25S surround are available in finishes of a glossy Piano Black, Black Walnut, or Walnut. Of special interest to me was Midnight Cherry (add $200-$400/pair, depending on the model), which my review samples came dressed in. From a distance, this highly reflective finish gives the speaker a “piano black” appearance. Up close, however, you can see the cherrywood’s gorgeously rich grain, which gives the 95F a luxurious appearance. I’ve seen a similarly exquisite finish only on Cabasse’s Pacific 3, which costs three times the 95F’s price. The Prestige 95F measures 43.6”H x 9.2”W x 14.6”D and weighs 68.2 pounds -- big, but not imposing. It sits on two bars of aluminum, one each at front and rear, that include footers with built-in, reversible spikes that are individually adjustable. Centered just above this base, on the front baffle, is a single P, short for the company's name. Aluminum accent rings surround each of the four drivers, as in KEF’s R models. There’s not a bolt or screw to be seen on the 95F’s beautifully minimal baffle. Around back are two pairs of brushed-aluminum binding posts, to permit biwiring or biamping, and two large ports. I wound up tossing the magnetically attached speaker grilles aside, as it seemed criminal to cover up the 95Fs’ glossy finish. The 95F is no more lacking in its drivers than in its looks. In a shallow waveguide at the top of the front baffle sits a 1” X-PAL aluminum-dome tweeter, covered by a Perforated Phase Aligning (PPA) lens. The PPA, which looks like an attractive aluminum grille, actually serves as a phase plug. The PPA is solid at the center, then perforated with concentric rings of holes that gradually increase in size as the rings approach the periphery, to help optimize dispersion at all wavelengths -- something a conventional phase plug can’t do. Below the tweeter are three (!) 8” drivers, which handle the midrange and bass duties in this 2.5-way configuration. In a landscape full of three-way, full-size tower speakers, it’s interesting to see Paradigm break with their own tradition of dedicated midrange drivers, and 2.5-way designs have several advantages. The top woofer is crossed over from the tweeter at 2kHz and is permitted to play full-range from there down; in other words, a single driver covers the entire midrange without interruption, avoiding potential problems of crossover and phase shift that would diminish the speakers’ accuracy of imaging. There is also an obvious benefit in having an additional 8” driver contributing full-range bass energy. Finally, with no change in radiator size up to 2kHz, directivity in the vertical plane is more uniform than one gets from the average three-way tower. But having a driver of such large diameter handling the all-important midrange is also a potential disadvantage. Most midrange drivers are about 5” in diameter for a good reason: all else being equal, an 8” driver has roughly 60% more surface area and mass, thus inertia, to overcome and get moving in the same amount of time. When I expressed my reservations about the 95F’s 8” midrange-woofer, I was assured by Oleg Bogdanov, Paradigm’s director of engineering, that since the 95F will typically be used in larger rooms, where the deleterious effects of wall and floor reflections will be less pronounced, the midrange-woofer’s extra directivity will actually help maintain the desired tonal balance. The three 8” aluminum cones are identical, short of the use in the midrange-woofer of a two-layer coil of aluminum wire -- instead of the four-layer coil in the two lower, dedicated bass drivers, which handle everything from 400Hz down. This results in less inductance and mass, and greater output at higher frequencies. Each 8” cone is ringed by one of Paradigm’s new, patented, Active Ridge Technology (ART) surrounds, which are made in-house. This permits longer cone excursions, for a 3dB increase in output. The crossover is of the second-order, 12dB/octave variety. The anechoic frequency response is 37Hz-20kHz, ±2dB, with an average in-room -3dB point of 24Hz. The claimed sensitivity is 94dB in-room, 91dB anechoic, while the impedance is “compatible with 8 ohms,” which seems to indicate that the 95F will be a relatively benign load for an amplifier. Speaking of which, amps with outputs of 15-450W are suggested, with a maximum input power of 240W. All of these specs indicate that the 95F should be most comfortable in a big room. The Reference Prestige 95Fs’ arrival here was fortuitous. I’d just bade adieu to my previous reference speakers, KEF’s R900 ($4999.98/pair), and welcomed my new references, Definitive Technology’s Mythos ST-L ($4999.90/pair) -- each, for different reasons, a top-flight example of what $5000 can buy these days, and perfect points of comparison with Paradigm’s new entry at this übercompetitive price point. I also had on hand some excellent electronics: Luxman’s L-550AX class-A integrated amplifier, Benchmark Media Systems’ AHB2 power amplifier, and my dear Hegel Music Systems H300 integrated amplifier-DAC. Arcam’s accomplished irDAC and Benchmark’s terrific DAC2 DX also saw use. Dynamique Audio Caparo speaker cables and Shadow interconnects wired everything together, while a Nordost Blue Heaven USB cable brought my Apple MacBook Pro music server into the system. Because I suspected that the Paradigms would have pretty substantial bass, I pulled them out a little farther from the front wall -- to at least 4’ -- than I’d had the KEFs or the sealed-box DefTechs. I spread the 95Fs about 9’ apart, and toed them in so that I could just see each speaker’s inner side panel. On went the Tron: Legacy soundtrack (16-bit/44.1kHz ALAC, EMI), a grand collaboration between the French duo Daft Punk and composer Hans Zimmer, and up, up, up went the volume. Wow. The Paradigm Reference Prestige 95Fs turned out to be some big-room speakers, with deep, ballsy bass. Despite sitting 4’ out from my front wall -- farther forward than I’d placed Cabasse’s massive Pacific 3s two years ago -- the 95Fs gobsmacked me with the sheer amount of low-frequency energy they summoned from Tron’s “Disc Wars.” Precious few speakers hit the trifecta of bass: comfortably full-range down to 25Hz, punchy, and -- perhaps most important -- effortless. The 95F did. Their sound wasn’t heavy with bass, but there was plenty of it, and it provided a deep, firm foundation for the London Symphony Orchestra -- the kind of bass I felt more than heard. I can’t remember ever hearing this quality of bass for anywhere near $5000. In my last encounter with one of Paradigm’s aluminum tweeters, I was struck by its extended, crisp sound. It proved highly articulate, pulling back the curtains of a clean window on all types of music. The 95F’s tweeter, with PPA in place, was even more accomplished, though its sound was a bit different. In “Heat of the Moment,” from Asia’s eponymous debut album (16/44.1 ALAC, Geffen), the generally tinny 1982 recording was slightly less hot than I’m used to hearing, without sounding turned down or dark. In fact, the hi-hat work of Carl Palmer (of Emerson, Lake & Palmer) was smooth and delicate -- something else I hadn’t expected. With “Take My Hand,” from Dido’s No Angel (16/44.1 ALAC, Arista) -- an album with a top end hot enough to cut glass -- the 95F ever so slightly tamed the sizzling treble. This was far from objectionable; I was taken with how expressive the 95F’s tweeter was, the razor-sharp violins now sounding slightly more relaxed. The tweeter’s behavior also had the effect of highlighting the amount of reverb used, which made Dido’s voice a bit more prominent. Lady Gaga’s voice in “Telephone,” from her The Fame Monster (16/44.1 ALAC, Polydor), was perfectly centered in the soundstage, and quite supple, with texture aplenty. The Paradigm’s midrange was downright velvety in this regard, not so much in terms of tonality, which was a hair to the warm side of neutral, but sonic weight. Threadbare this sound was not. As is to be expected of a company of Paradigm’s experience, the 95F’s top-to-bottom coherence and linearity were excellent. With the exception of a ripe bottom end, which may be a nonissue for those with larger rooms and more ideal arrangements than mine, the 95F was perfectly voiced: nothing was out of the ordinary. All of the attributes one could want in a full-range loudspeaker were present and accounted for. 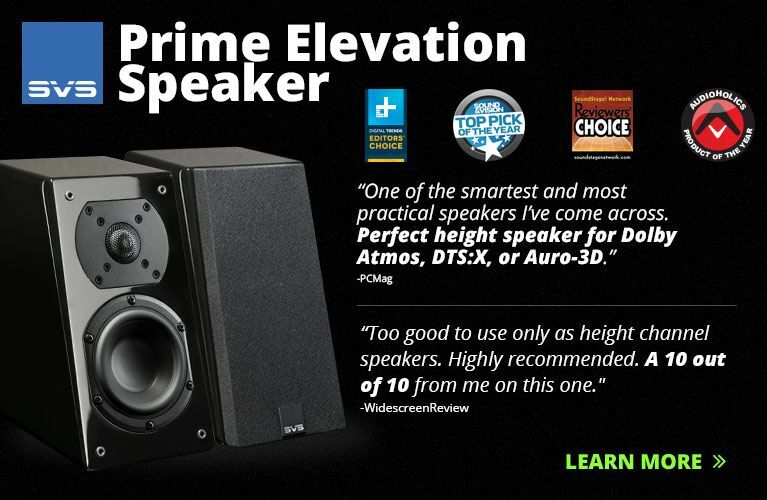 $5000 is a particularly rough price point for manufacturers and a delightful one for consumers -- most makers of high-end speakers offer at least one full-range floorstanding model at this price. Revel’s Performa3 F208, GoldenEar Technology’s Triton One, KEF’s R900, and Definitive Technology’s Mythos ST-L all fall within $1 of the 95F’s retail price per pair, and I’m intimately familiar with the latter two: the KEF was my last reference speaker, and the DefTech is my current one. 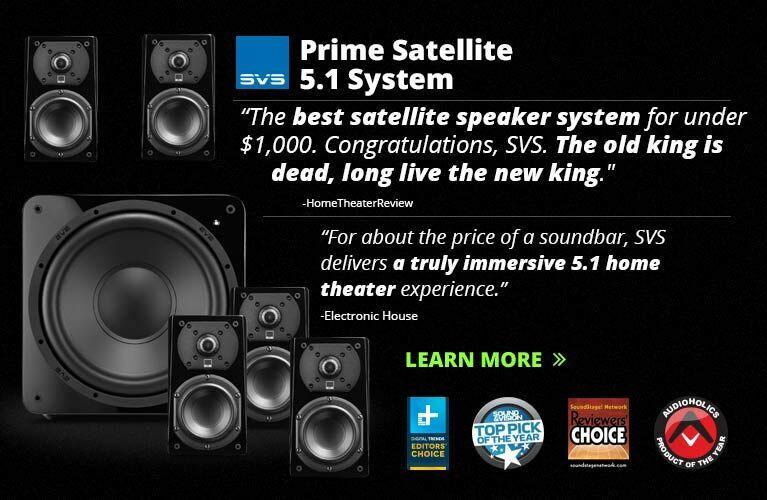 Each is pretty much full-range -- especially the ST-L, with its powered bass section -- and well suited for large rooms. And each, in its own way, is absolutely top flight, though neither is perfect. In terms of overall transparency and speed, the KEF R900 has an edge over the Paradigm Reference Prestige 95F. The KEF’s Uni-Q coaxial driver is a phenomenal transducer, especially through the midrange. Voices are nearly bereft of artifact or artifice, to a degree that the Paradigm couldn’t match, and instrumental attacks and decays are some of the best I’ve heard for under $10,000. 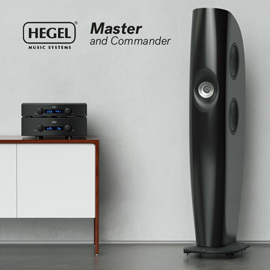 The Paradigm’s tweeter is a match for the KEF’s in terms of resolution and extension, but while the KEF’s tweeter seems to sail on endlessly beyond 20kHz, the Paradigm’s is a bit more polite and conservative. Tastes differ and change; depending on the day, I could happily live with either speaker’s treble. As for bass, the R900 emphasizes tautness and pace over extension through the bottommost half octave or so; the 95F had greater slam and went deeper. The KEF R900 and Paradigm 95F look remarkably similar: each has aluminum accent rings around its drivers, a boxy profile, and an upscale quality of finish. Add the $400 Midnight Cherry finish, however, and the 95F becomes a stunner whose looks the more modest R900 can’t quite touch. DefTech’s Mythos ST-L is an altogether different proposition. This minimalist-chic, all-aluminum, anorexic-looking tower looks as if it could never produce deep bass. That couldn’t be further from the truth. Each sealed cabinet houses a racetrack-style woofer, two passive radiators, and a 1200W class-D amplifier. While its bass definitely reaches as low as the Paradigm 95F, it does so with slightly less authority, and its middle and upper bass are nowhere near as prominent as the 95F’s. But neither the DefTech nor the Paradigm possesses the KEF’s bass timing. The ST-L’s chief virtue is its utterly pristine midrange: Where the 95F had rich, full-blooded mids, women’s voices and strings leap lithely and spritely from the ST-L’s D’Appolito driver configuration, and with slightly more detail. This is offset by a tweeter that, while as fundamentally accomplished as the 95F’s, lacks the Paradigm’s extension and relative airiness. And the DefTech’s industrial appearance will never win as many hearts as the Paradigm. In sum, each of these speakers is very good, each has its virtues, and each will appeal to many listeners, but not all. Paradigm has branched out from its self-imposed conventions in fabulous, Canadian-made style. The Reference Prestige 95F is a beauty of a loudspeaker, especially in its optional Midnight Cherry finish, the quality of which easily exceeded even my high standards. With a sophisticated, cultured sound and bass extension to die for, the flagship of Paradigm’s new Prestige line is as arresting to listen to as it is to look at. Paradigm appears to have come up with another winner! Price: $4998 USD per pair.